Marion leads the company’s business development and commercial operations across all schools and nurseries and is responsible for developing and implementing bespoke marketing and admission strategies to support the schools’ goals. She sits on the board of governors of all EKI’s schools, helping set the strategy and goals of each school and monitoring performance. 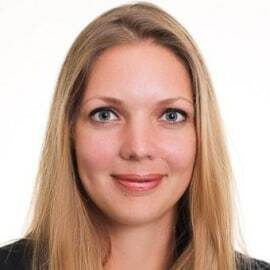 Prior to joining EKI in 2013, Marion worked in business consulting for seven years, primarily in Europe. She was a manager in the customer relationship management function at Accenture, where she advised Fortune 500 companies from a variety of industries including banking, retail, transportation, telecommunications and energy. She devised and implemented growth strategies, ran efficiency analyses, and identified and leveraged operational synergies. Marion has a master’s degree in telecommunications engineering from the Institut National des Sciences Appliquées de Lyon and an MBA from INSEAD in Singapore and France.